Lottie Gertrude "Trudy" Stevenson is a remarkable political survivor, appointed as Zimbabwean Ambassador to Senegal in 2009 during the GNU as a deployee of the MDC led by Welshman Ncube. A former national secretary for Policy and Research in the then Morgan Tsvangirai-led, Trudy continued to serve as ambassador to Senegal and the Gambia after the fall of the inclusive government. 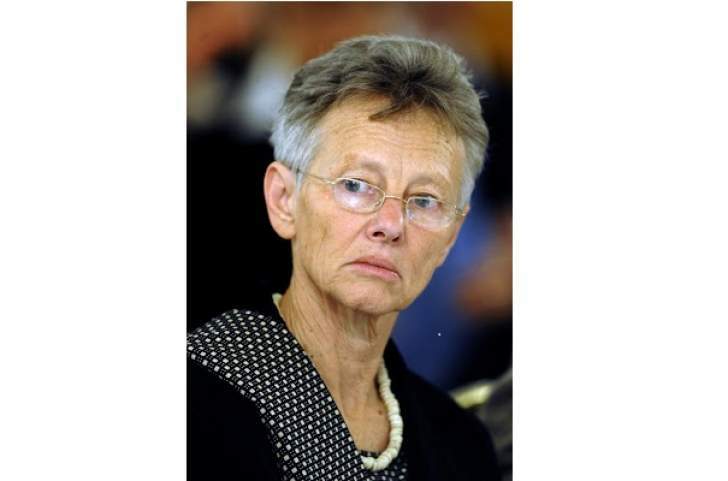 After the fall of Robert Mugabe, she has continued to serve there as President Emmerson Mnangagwa's envoy. Our news editor Gift Phiri chats to Trudy in this wide-ranging interview. Q: You attended the Africa CEO Forum in Abidjan last week attended by President Mnangagwa. Do you get a sense that Zimbabwe benefitted from that summit? A: At the Africa CEO Forum, there was excitement and a very positive vibe about Zimbabwe coming back into the fray. Investors were very keen to meet with both HE (His Excellency) and our private sector and ministers. Some were anxious about the safety of their investments, but as a couple of bankers noted, "money is a coward." It goes where it feels safe, and always need to see an exit window before entering. As HE and others pointed out, the early bird catches the worm - and I think that message was well accepted. There were serious commitments to invest, come back and rebuild - e.g. Afreximbank formalised their $1,5 billion loan which is partly for investment guarantee. Their (Afreximbank) president (Benedict) Oramah made the point at two events that they have invested $2 billion in the last 20 years in Zimbabwe, and never lost one cent! We are very fortunate that the Jeune Afrique Group took an interest in our new dispensation, and invited HE as their special guest this year, as well as Ghanaian president Nana Akufo-Addo and of course host president Alassane Ouattara. As the premier French-language magazine in Africa and about Africa, that says a lot! HE made the point several times that this was his first visit to West Africa since he visited Nigeria in 1977, when Obasanjo was President! He was carrying Mao Tse Tung's Little Red Book, at the time, and Obasanjo advised him to put it away in his pocket - he was not interested in ideologies, only human dignity! Nigeria gave huge support to Zimbabwe during the liberation struggle, in terms of funds, arms and safe passage. Q: How are Zimbabwe-Senegal relations? A: Zimbabwe-Senegal relations are very good. Senegal also supported Zimbabwe's independence struggle, and many senior government officials are well acquainted with Zimbabwe and have a soft spot for us. Q: There is a sense that President Macky Sall is stifling his political opposition ahead of elections expected next year. A court in Senegal has just sentenced opposition leader Khalifa Sall on Friday to five years in prison for embezzlement and falsifying documents. What is the situation there? A: Indeed there is concern about the sentence of Khalifa Sall, but I was away in Abidjan when it was handed down so have not had chances to study it yet. I will study the judgment as soon as possible. That said, there is also concern that Karim Wade, son of former president Abdoulaye Wade, who was or is also considered a possible challenger to Macky Sall next year, remains in exile in Qatar under conditions that are unclear, that is whether he was released from prison provided he never returns to Senegal, or what? Q: Have you briefed Harare about the developments in Dakar and what are we doing to diffuse the tension there? A: I just returned from Abidjan on Thursday evening, before Good Friday/Easter weekend, and have not had a chance to brief Harare about anything, as yet. However, we do not intervene in another country's internal affairs. Q: Is there risk of unrest over the arrest of the opposition leader? A: There could be unrest over Khalifa Sall's sentence - but there could equally be unrest over any number of other issues, just like Zimbabwe with the doctors' strike. Q: How big is the Zimbabwe Diaspora there? A: There are not many Zimbabweans in Senegal, mostly because of the language issue. Senegal is French-speaking, which is a challenge to most Zimbabweans. There are quite a number of Zimbabweans working in the different mines, however - but we generally don't see them, they slip in and out on their 6-week-on-2-week-off contracts or whatever. Q: What is our embassy doing there to improve ties? A: To improve ties, our embassy holds regular meetings with the host government both at ministries and elsewhere, and is currently following up on requests to assist Senegal in reviving its national parks, especially Niokolo-Koba, in terms of both training of trainers for its game rangers and re-stocking and managing its wildlife. This is a very promising win-win field of cooperation, and both sides are very enthusiastic. Q: In 2009 at the advent of the GNU, you were appointed as Zimbabwean ambassador there. You continued to serve as ambassador to Senegal and the Gambia after the end of the inclusive government, under Robert Mugabe's government. Why? A: Yes, I was appointed ambassador under the inclusive government, by former president Mugabe. When one becomes a diplomat, one becomes apolitical - or should do so. So you promote your country, and the interests of all its citizens, not only those of one particular party. When the inclusive government ended, Mugabe felt that I was doing a good job as ambassador, so he kept me on - and now the new President Mnangagwa, apparently also thinks I am serving Zimbabwe well as our ambassador in Senegal, The Gambia and generally in French-speaking West Africa. Most Zimbabweans are not aware that I speak French fluently - so this is a big advantage to us, in a French-speaking region. It's a good idea to use people's skills where they are most useful - human resource management, indeed. Q: Before your deployment, you served as MDC's national secretary for Policy and Research for both the original MDC and in a smaller faction of the MDC. Are you still a member of the MDC or you have defected to the ruling Zanu-PF? A: I am no longer a member of any political party. I am a diplomat. Q: What do you make of the fall of Mugabe in a military coup? A: That military intervention to force Mugabe to step down was supported by the vast majority of the people of Zimbabwe. I watched it all on TV, and was overwhelmed with emotion, seeing everyone together again, after all these years. This was what we needed. Q: You continue to serve under the Mnangagwa regime. Why? A: I continue to serve under Mnangagwa because he is the president of my country, and I am his representative in Senegal and The Gambia. The Presidency is an institution, not a person. While some countries recall all their ambassadors on change of president, this is not the case for Zimbabwe. Nor, interestingly, was it the case for Donald Trump, even though there was a big brouhaha at the time! Q: What do you think of Mnangagwa's ascendancy to the presidency and his rule? A: President Mnangagwa has given a new breath of life to Zimbabwe - we needed that. He is a very astute person, with huge experience both in international finance - he was Zanu-PF treasurer for a long time, I believe, both before and after independence - and in government. Q: The new president has ruled out the Diaspora vote. What are Zimbabweans there saying about this decision? A: The Diaspora vote is a big challenge. I would have liked to see all Zimbabweans able to vote in this election, and certainly we would have organised that at our embassy in Dakar, had we been instructed to do so. However, I also understand the logistical challenges, especially in terms of funding. Perhaps if the UN had offered to fund our Diaspora vote, we could have organised this. Q: Are you coming home to vote, are you registered to vote in the forthcoming harmonised elections? A: I registered to vote when I was home in February for the Ambassadors' reorientation workshop - indeed, I was the one who asked Zec to send a team to our workshop to register us! I understand we still have the right to a postal vote, so assume I will be able to vote by post, as before. Sadly, my officers and their families will not be able to vote, because they have not been able to register with the new BVR system - so I feel guilty about that, and have protested officially, but it seems there is nothing more I can do. Q: Government owes foreign embassy staff millions in salary arrears, arrears for operational expenses, and school fees refunds for children of staff at the 46 diplomatic missions and consulates. What is the situation at the embassy there? A: Like all our missions, we are in arrears, in terms of salaries, rentals, school fees, medicals and other allowances. I was evicted from my Residence at Christmas 2017, because of 9 months' arrears - so I spent the Christmas/New Year holiday packing and moving to another house, for which I had to pay the security deposit and 3 months' rental myself, to avoid being on the street! Things have improved a bit, here - and we did manage to pay off those Residence arrears, to my relief - especially because the landlady is "a big someone" at the AU in Addis Ababa - and you know how this kind of news spreads! We have just received funds to pay some rental and utility arrears, so we are treading water, as I write! I must add that HE is very aware of our situation - he mentioned it to me in Abidjan this week and apologised for this. I find his hands-on approach refreshing. That's what we need, just the acknowledgement that we have these challenges and that they are doing their best to address them is comforting. A: My last word: I have to say that I am incredibly proud to be one of Zimbabwe's ambassadors. We have one of the most professional, dedicated and really decent ministries of Foreign Affairs in the entire world. Our ambassadors fly our flag with all their might and all their heart - and I think our citizens need to know this. When I joined the ministry, there was an assumption that the ministry and our embassies are full of CIO and Zanu-PF stalwarts, and that no reasonable person would go anywhere near one of our embassies. I can assure you that this is not the case at all. We are often offended when Zimbabweans avoid our embassy - we are there to help you! This is your home from home.